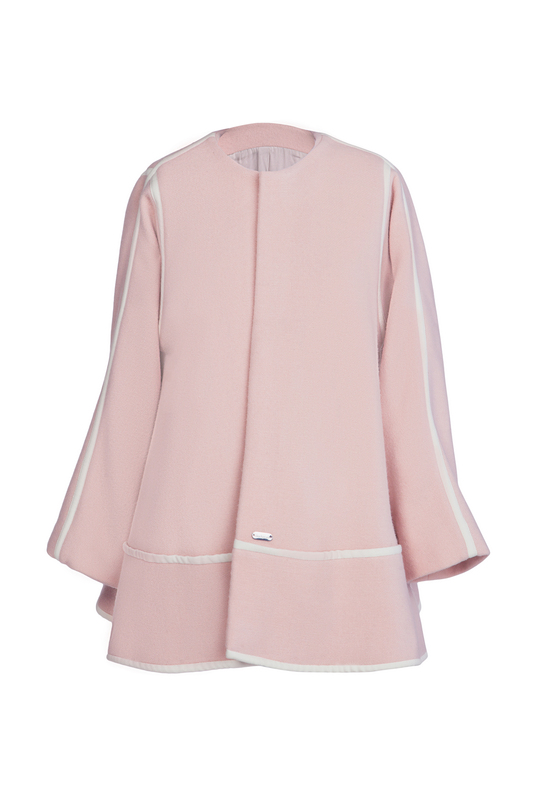 One of Blackpearl’s signatures is this pastel-pink cape shaped coat. This structured coat is crafted from a cozy mid-weight wool-blend that perfectly shapes its architectural form at the back. 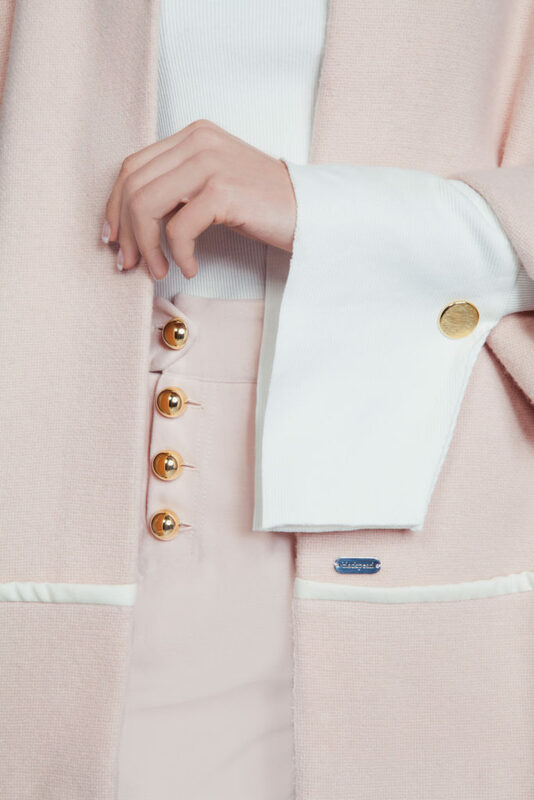 Those white-tone stripes has perfectly adapt to pastel-pink color which has been precisely defined on the coat. It’s detailed with gold-plated buckled tab at each side.